Swing into Christmas sale at piece-of-scrap. 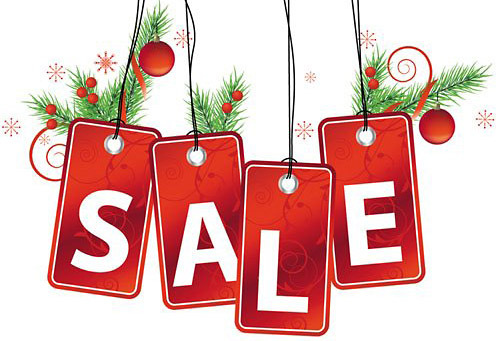 Shop our store for huge discounts on the TOP Christmas toys and stocking stuffers! High quality brand name clothing on sale at discount prices including Ralph Lauren, Tommy Bahama, Chico's, Harley-Davidson and more. Don't forget to buy your UGLY HOLIDAY CHRISTMAS SWEATER for those office parties and contests! As always, if you don't like my price, make a BEST OFFER! 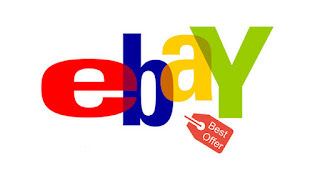 One of the biggest questions for experienced and newbie eBay sellers alike is, “How much should I sell this for?” While there are numerous ways to research selling prices for items listed on eBay, I will discuss a very specific one: after searching completed items on eBay, the price accepted was via Best Offer. What is the best offer accepted price? 5. Click the Print link. The print item page will display the accepted Best Offer price. Continue to research other sold items by returning to the Advanced Search Results and repeating the steps above to identify the selling price of a Best Offer acceptance. One of the biggest questions for experienced and newbie eBay sellers alike is, “How much should I sell this item for?”. 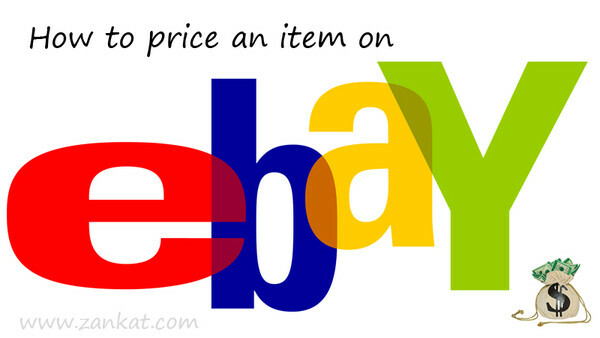 While there are numerous ways to research selling prices for items listed on eBay, I will discuss just one: search completed items on eBay for similar items or exactly the same item. 1. Click the Advanced Find link in the upper right hand corner of most any eBay page. 2. On the Advanced Find page, enter the keyword search term (very generically). 3. Check the appropriate box for Condition (New or Used). 4. Then, scroll further down the page and select the box for Sold Items. 5. Click the button to Search Now. Using the steps above, click here for an example of completed eBay listings for "cashmere sweater"
A seller can see what similar items are selling for by looking at these completed search results listings. If desired, click one of the completed listings to see the item auction description to verify the item is exactly you think it is. If an item sells quickly at the Buy It Now price, some sellers may think that they let the item go at too low of a price. In fact, some sellers may think they could have received more for the item and greed sets in. Second guessing the price of an item that has already sold is easy to do, but not healthy. As long as a seller had made money on the item (after all fees, of course), then selling the item was a success and the overall store inventory turnover ratio has been improved. Shop resourceful pricing guides for even more information on setting the price for marbles, toys, comics, antiques, Disney collectibles and just about everything! One should keep these discount saving sites in mind when shopping for a party dress: 8th Grade Graduation, Prom, Homecoming, Bridesmaid, etc. In addition, start your Christmas shopping by clicking through Ebates.com to earn cash back your next purchase at ToysRUs, LeapFrog, GAP, Carters, Amazon and many more! 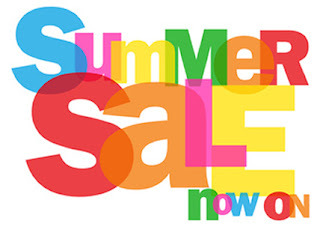 Swing into Summer Sale at piece-of-scrap on eBay for huge savings on many items. Name brand clothing includes: Ralph Lauren, Talbots, Harley-Davidson, Chico's, Lacoste, Tommy Bahama and more! Shop for Back to School, Halloween, Christmas in July or any day by browsing our variety of homemade costumes, designer shirts for boys & girls and winter / snow pants. As always, if you don't like my price, make a reasonable offer! As a mother of a very vocal tween girl, I know what the tweens want most this holiday season. Musical themed gifts: If their favorite musician is any member of the popular boy band, One Direction, a sure to please gift is a replica of the 1D singer. 12” dolls are available for each band member: Niall Horan, Louis Tomlinson,Harry Styles, Liam Payne, Zayn Malik. Choose a collectible that simply looks pretty or one that “sings”. Is there anyone hotter than Taylor Swift right now? If Swifty is their favorite, purchase gently pre-owned Taylor Swift concert tee shirts online here. Finally, one can’t go wrong with iTunes gift cards. Musical tooth brushes make tooth brushing fun! Tooth tunes musical tooth brushes are available in a variety of tunes including: Bruno Mars, Black Eyed Peas, One Direction and Hannah Montana. Clothing: Teens love fashion and that includes anything Aeropostale, Hollister, Victoria's Secret PINK or Abercrombie! Do not pay retail store prices for this designer clothing. Shop online for gently used junior, tween and young woman apparel. Don’t forget the accessories! Coach and Vera Bradley purses, backpacks and lunch boxes are fashion necessities for young teens. Build a Bear Workshop plush: My daughter still loves her BABW stuffed plush animals. Purchase gently used, often retired and hard-to-find stuffed toys online. Arts & Crafts: Sew Cool sewing machine, Tapeffiti and anything design related. My teenage daughter spent hours wrecking a book, Wreck This Journal. It is an illustrated book that features a subversive collection of prompts, asking readers to muster up their best mistake and mess-making abilities to fill the pages of the book (and destroy them). Limited Edition Chapstick: Flavored Chapstick makes a great stocking stuffer! Your choice of flavors available here: Gingerbread Kiss, Cake Batter, Candy Cane, Fruit Punch, Pomegranate Gumdrop, Citrus Jelly Bean, Pumpkin Pie. Designer Footwear: Ugg Boots, Coach fashion sneakers, Brighton and Toms. Don't pay retail price! Save money on gently pre-owned designer footwear for teenage girls and young women. Cold hard cash: In gift card or any currency! Become a Facebook Fan of Piece Of Scrap to keep an eye on what my teen daughter vocalizes next! 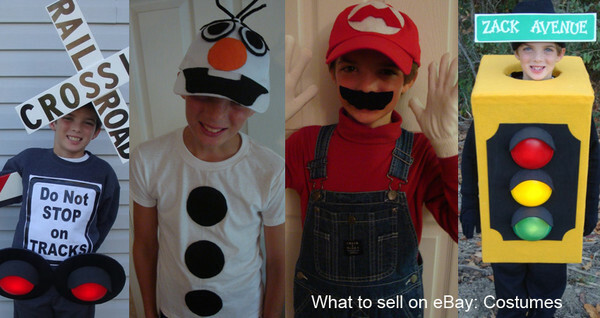 Halloween costumes are a popular item to sell on eBay. Hard to find costumes and hand crafted outfits for men, women, children and groups may fetch a pretty penny on eBay. For example, costumes relating to the hit Disney movie, Frozen, have been sold out in retail stores for weeks prior to Halloween. Crafty moms (and dads) can create a unique, one-of-kind, queen cape by visiting How to Make a No Sew Princess Elsa Cape. To create the friendliest snowman to walk the mountains above Arendelle, Olaf, follow the instructions available at How to Make an Olaf the Snowman Halloween Costume. Not crafty? No worries … one can purchase the pre-made Princess Elsa and Olaf the Snowman costumes in my eBay store, piece-of-scrap. Cartoon character costumes including those from video games and animated television series are always popular. 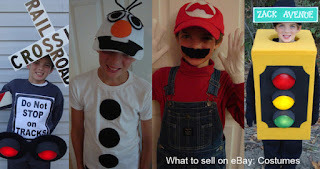 Purchase a Mario Bros costume in my eBay store, or hand craft your own by following the instructions How to Make a Mario Bros Halloween Costume. Mickey Mouse and Scooby Doo are other choices popular with young trick or treaters. Think outside of the box for Thomas the Trains young fanatics. Instead of purchasing the standard Thomas the Train conductor uniform, available here, one can create a very unique Railroad Crossing Halloween costume. Or, create your own little conductor outfit with bib overalls available online. Making a Halloween costume that is unique is not only creative but can be profitable. One can make these simple costumes for their own children and in the process, make a duplicate to sell on eBay. e eBay Labels for Priority Mail services will now receive $100 worth of FREE insurance. This is in addition to the special USPS shipping discounts sellers already receive—up to 35%—because of stellar seller status! In addition, FREE Delivery Confirmation is uploaded to My eBay when shipping Priority Mail or Priority Mail Express through eBay Labels. 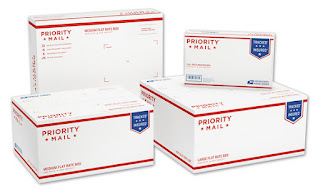 The United States Postal Service offers free priority mail shipping supplies. These supplies include: priority mail poly mailers, flat rate envelopes, flat rate padded envelopes, boxes of all shapes and sizes. 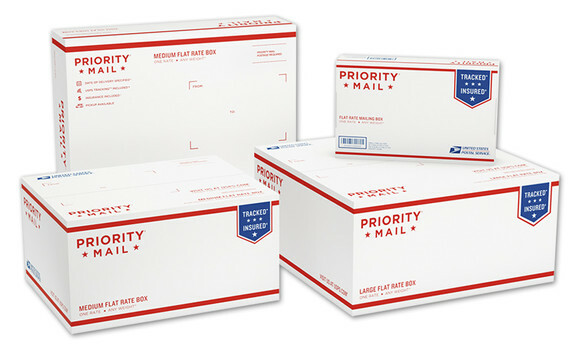 One may pick up these free shipping supplies at your local post office or visit www.usps.com and “order” them online with free delivery to your address. 8. Purchase postage and print label. Cashmere sells on eBay – even with holes! Making money selling on eBay is not an easy task. New eBay sellers as well as experienced sellers are constantly seeking advice on what to sell on eBay. As an experienced eBay seller, I know that anything cashmere sells. Cashmere sweaters that are new with tags (NWT) can can sell for nearly $1000 depending on the brand name. Used or preowned apparel can easily fetch $50. But, did you know that cashmere, even with holes, sells as well! 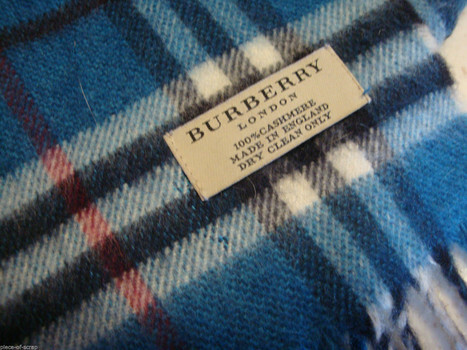 I recently sold a Burberry cashmere scarf, with holes from normal wear, for $46.95 shipped. I picked the scarf up at a local church sale for $1. Martha Stewart has many how-to videos on repurposing cashmere, including these: how to make a cashmere skirt and how to make a cashmere hot water bottle cover. If you happen to have multiple cashmere sweaters with imperfections, you can group them in a lot to sell on eBay. I have successfully sold a crafters' lot of 6 cashmere sweaters in various sizes and styles. The imperfect lot sold for nearly $50 shipped. Add anything cashmere to your BOLO (Be On Look Out) list while seeking items to resell on eBay. Mens and Womens Sweaters are often easy to identify simply by touch while shopping at a thrift store. You may also find these clothing items at garage sales, church sales and sometimes even Kohl's department store clearance section. 1. Give the children a few key items to look for. For example, show them a certain name brand logo or a word on the designer label. 2. While in the thrift store, use code words that only your family knows. Instead of the children asking, “Hey Mom, can you sell this on eBay?” have them ask something unrelated to eBay. For example, “Would Grandma like this?” (even if it is a man's necktie). 3. Never, ever call Goodwill, “Goodwill”. Due to the stigma attached to shopping at Goodwill, refer to it as “Macy’s” or “Nordstrom”. 4. Reward children with prizes. For younger children, reward them with a quarter for each item that they found to resell. Pieces of candy (skittles, M&Ms, etc) may be used instead of quarters. 5. Some children are competitive. My children created the “hunting game” to see who could find the most items to resell. Reward the “winner” with a pick of his/her choice: restaurant for lunch, movie, family activity, etc. We all know that, in the end, Mom is the winner with the great thrift store finds! 6. Allow the older children to bring electronic devices to listen to music. My teenage daughter “works” better while listening/singing her favorite songs. 7. Allow children to push their own shopping cart. Or, as my son likes to do, have them hook the clothing in the back of their own collar. 8. Plot the family's thrift store travels with your own version of Flat Stanley. The Flat Stanley project was created to facilitate youngsters letter-writing by documenting the travels of paper cutout, Flat Stanley. Our "Flat Stanley" is a plush stuffed sock monkey, named Ralph. Whether vacationing or taking a mini road trip, we make it a point to stop at a Goodwill ("Macy's") or local thrift store to photograph Ralph, the sock monkey. We document our thrift store travels with Ralph on the Piece Of Scrap Facebook Fan page. 9. Limit the amount of time in the store. While an avid thrift shopper could spend hours browsing clothing racks and shelves filled with toys and household items, limit the time spent thrift shopping with the children to no more than 2 hours. 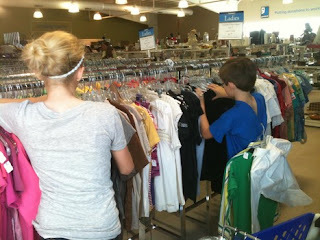 Enjoying family time is important … even if family time includes shopping thrift stores! To get started making money and selling on eBay, visit How to get started selling on eBay and making money. To get started shopping on eBay and making money, Starting an eBay Business For Dummies by Marsha Collier is a great read and voted one of the Best Books of the Year So Far by the Amazon.com editorial team. Selling on eBay is an art that requires determination, self-control and perseverance. I started on selling on eBay in 2009 as a means of survival. The company I had worked for almost nearly 4 years was purchased by a larger firm. Due to a mass layoff of nearly 70 employees (some of them who had been with the company for nearly 20 years), I was out of work with limited unemployment compensation. As a single mother raising two small children, I knew that I had to persevere to make ends meet. I began selling things around the house. Much to my surprise, nearly everything I listed sold within a matter of months, some items for more than I would have ever imagined. Until eBay, I was one to avoid the local thrift stores for the stigma involved and the thought of shopping there, made me feel ‘dirty’. One afternoon, I finally psyched myself up to enter the Goodwill store. I quickly looked through the men’s shirts and picked out a couple of plus size polo shirts to list on eBay. I hurried home to list the pair of shirts as a plus size lot. Within a day or two, I had a bid. From that point on, I was hooked … eBay was not just a means of survival, it became an addiction. Now, I am an eBay Top Rated Power Seller having sold over 12000 items worldwide as a single person operation. My children are older and fully support my passion for eBay. Click here for my techniques in making thrift store shopping fun for kids. Selling items you already own will build your confidence, experience and feedback rating on eBay. Once you feel more comfortable with selling on eBay, seek out items to resell including holey cashmere, coffee mugs and Halloween costumes. Check your area for garage sales, thrift stores and estate auctions. For further guidance on starting to sell on eBay, eBay for Dummies is a great read for beginners! While shopping for items to sell on eBay, it is clear that thrift stores tag items differently. For footwear including shoes and boots, many stores have a set price and do not price individual pairs. 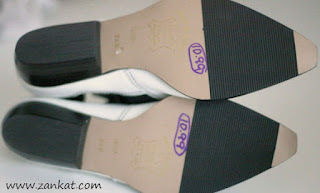 However, stores that mark up shoes based on a designer brand or condition (new in box), will often write the price with a sharpie permanent marker on the bottom of each sole. I have tried numerous techniques to remove the permanent marker label from the soles of shoes including: Mr. Clean Magic Eraser, Goof Off and Goo-Gone. More often than not, these household items will remove the stain, but also leave a mark or residue behind that makes the shoe less than marketable. In fact, Goof Off on rubber soles actually melts the material! By accident, I discovered that a used a dryer sheet and nail polish remover works wonders in removing permanent marker stains from rubber soles. This combination not only works well on rubber soles, but also on other items including my kitchen table! To remove permanent marker stains from leather soles, try fine grit sandpaper. This will rub the writing off making the soles appear slightly worn instead of stained by permanent marker. In my experience, I’ve found that the household materials (even nail polish remover) will take off the permanent stain, but may discolor the leather. If all else fails and the price is still visible on the bottom of the sole, simply write over the price with permanent marker covering up the thrift store sale price. Then, try to wipe off the fresh permanent marker using nail polish remover. Sometimes, the fresh permanent marker will lift the older permanent marker writing with it and a little elbow grease. If that fails, simply add another digit to the front of the thrift store price to make it appear more expensive. For example, add a 2 to the front of the 4.99 price making it appear 24.99. As a parent, there are many apps available for an iPhone that drive me crazy. 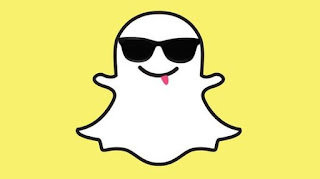 One in particular: Snapchat. This smartphone app allows users to snap a photo or a video, add a caption, and send it to a friend. They'll view it, laugh, and then the Snap disappears (or does it?). 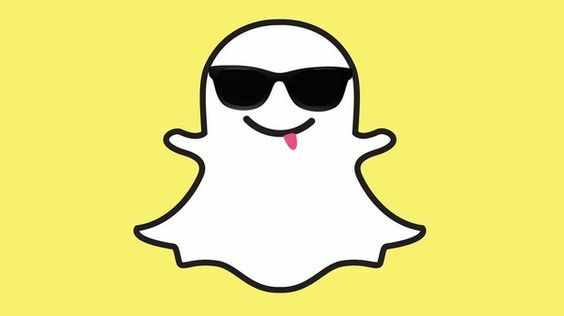 Granted, the person sending the photo snap can set a time limit so it will expire in as little as a one second, but still – the photo has been shared. As one can only imagine, there is no filter on what thing, body part or other is snapped and sent to friends. It is not so much that I don’t trust my children to “keep it classy”, but I have a hard time trusting their friends … especially teenage boys that are friends of my daughter. To learn more about social media and teens, It's Complicated: The Social Lives of Networked Teens is a great read / buy! 5. Scroll down on the Restrictions screen to “Allow Changes”. On Accounts, check the option for “Don’t Allow Changes”. While adding these Restrictions to block Snapchat does not fully prevent teen sexting, it sure makes sexting a little more difficult. Through phone records and iMessage, a parent can track who their child is sending text messages to and in some cases, even see the content being sent. To further educate teens about internet safety including cyber-bullying, Cyber Dilemmas In a Jar: Challenges for Teens, is a great conversation starter card game with many thought provoking scenarios facing teenagers today. As a mother of a very vocal tween girl, I know what the young teenage ladies desire most for a gift. Whether one is seeking the gift for a birthday, 8th grade graduation, Christmas, Easter basket, Valentine's Day, etc…be sure to please them with any one of these teen favorites! Fashion accessories: Don’t forget the accessories! Coach bags and everything Vera Bradley are fashion necessities for young teens. Young drivers will like a Vera Bradley breakaway lanyard and matching ID Zip Card case to store student ID card and driver’s license. North Face jackets: Even in the dead of winter, most teen girls (and even boys) choose to wear a jacket instead of a winter coat. The North Face Osito soft and fuzzy zip front jacket is most popular with teen girls. High school students where these in a variety of colors to and from school. Clothing: Teens love fashion and that includes anything Aeropostale, Hollister, Victoria's Secret PINK or Abercrombie! Do not pay retail store prices for this designer clothing. Shop online for gently used junior, tween and young woman apparel. Sign up for Amazon Prime to receive free 2-day shipping on any size order! Wreck this Journal: My teenage daughter spent hours wrecking a book, Wreck This Journal. It is an illustrated book that features a subversive collection of prompts, asking readers to muster up their best mistake and mess-making abilities to fill the pages of the book (and destroy them). Bath and Body: Bath & Body Works spray, lotion, soap were a huge a hit at the cheer party Christmas gift exchange.Teenage girls like to smell good! Starbucks: Young coffee lovers enjoy Starbucks! Last year, my daughter received over $50 in Starbucks gift cards and spent every dollar. 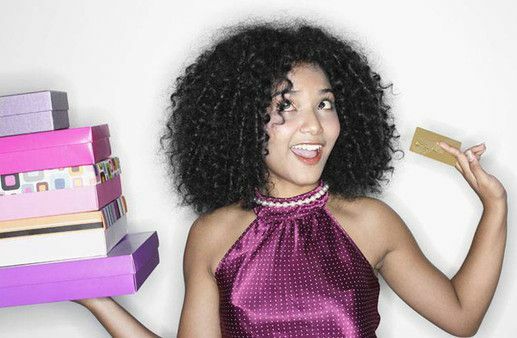 For more gift-giving ideas, visit my Pinterest board, "Best Christmas gifts for teen girls."